Do you regularly consume large amounts of alcohol, despite knowing how much damage it’s doing to your body? Click here to learn how to stop binge drinking. According to the 2015 National Survey of Drug Use and Health, almost 27% of people aged 18 or older admitted to binge drinking in the past month. While binge drinkers may believe that they are living a healthy life because their drinking is not constant like an alcoholic’s, this could not be further from the truth. Binge drinking can have many negative side effects. For one, it can have health impacts like alcohol poisoning or liver disease. Binge drinking also impairs your ability to make decisions, which may lead to unwanted choices or fatal accidents that you may cause. 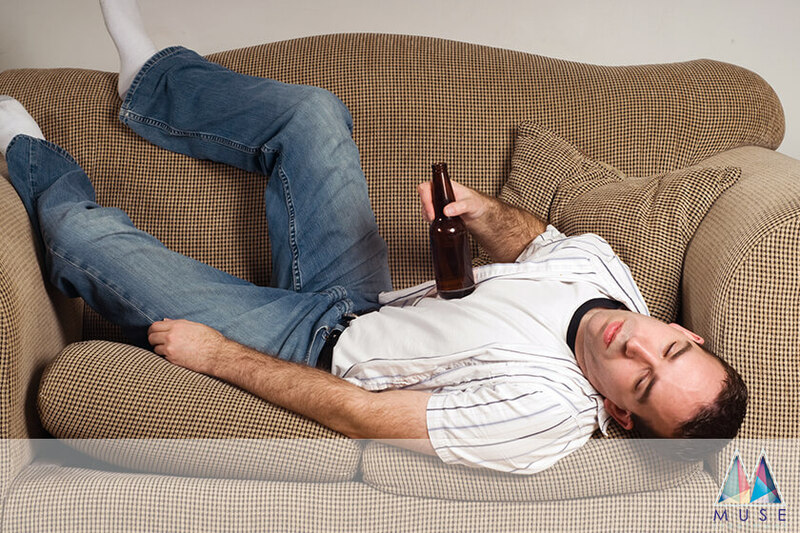 While binge drinking is mainly prevalent among college students, anyone can binge drink. Luckily, there are ways to stop binge drinking, no matter what your age may be. Here are a few tips to help prevent you from binge drinking in the foreseeable future. For many, binge drinking only occurs in certain settings or with certain groups of people. Drinking is typically seen as a social activity, but some groups certainly partake in it more than others. If you want to kick the habit, you may want to change your environment. You may start to notice that your drinking aligns with a certain trend, like if you only drink at a bar or you only drink with your work friends. If that’s the case, you may want to consider avoiding these places and these groups in order to avoid the drinking. Environmental factors are often the biggest indicators of binge drinking. So, like with many other problems, it is best to deal with this issue from the source. From our time as children, our brains have been hard-wired to respond positively to rewards for our accomplishments. Rewards are a motivating factor that keeps pushing us to accomplish more. With that in mind, utilizing a reward system when avoiding binge drinking may be a great way to help you stop. Ultimately, the reward that you earn is up to you. Depending on your preferences, you may choose to buy yourself a nice piece of clothing when you get through a week without binge drinking or treat yourself to a delicious snack when you go through an event without it. One reward system you could use is to use some of the money you saved by avoiding the drinks to buy yourself something nice. You will be able to see your progress firsthand while also earning a well deserved present for your hard work. For some, it may be difficult to admit to your friends and family that you have a problem. For others, it may have been those same people who opened your eyes to the issue. Regardless of their involvement, it may be a good idea to enlist some help from those who care about you most. From keeping an eye on you to help you resist temptations to congratulating your progress, having a support system on your journey to stop binge drinking can be important for many. This support system can be key to your progress. Involving your friends and family will also serve as a further reminder of why you may be cutting down on your binging. Ultimately, they may be a secondary motivation that you never knew you truly had. Many binge drinkers have reported that heavy drinkers help them cope with feelings of desperation or sadness. If this is one of the reasons you turned to binging, finding a coping mechanism such as exercise may help you quit. Exercise can be an amazing substitute for alcohol when it comes to dealing with negative feelings. When you exercise, your body releases chemicals called endorphins. These endorphins trigger positive feelings throughout your body that will help combat feelings of pain or sadness. When you use exercise, rather than alcohol, to combat these feelings, you are taking a positive step. You are not only avoiding a negative aspect in your life but introducing a positive one. Exercise has proved monumental in the recovery journey of many people. Also, thanks to the positive feelings people get from it, positive can become a positive reward that you can use. While it may seem difficult to get to the gym or go for a run at first, over time it will be easier and feel much better to do some exercise. While you may feel that it will be impossible to completely stop binge drinking, setting out on a gradual journey may be the way to do it. If you set clear, attainable limits over time, you will see that quitting altogether will not be difficult at all! Make realistic goals from the start. You can try to limit the amount that you drink or you can pace your drinking throughout a social night. Over time, drinking less and less will prove to be easier. After a while, resisting drinking altogether will not be difficult. You will see that pushing back on how much you drink has already made not drinking a real possibility for you, and you will have achieved your goal! If, like many others, you don’t feel you can complete this journey alone, don’t be worried. Many people seek out professional help to deal with their binge drinking problem. Professionals will be the people that will be most knowledgeable about what strategies may work for your particular case. Professional services will not only help you kick your binge drinking habit, but they will also help you develop a strategy to make sure the need for binging never comes back. They have your long-term success in mind and have proven strategies to deal with every issue that may come up, from withdrawal symptoms to relapse. If you’re looking for a proven group of professionals in your area, contact us at Muse Treatment Center. We have many treatment options that will help you stop binge drinking and have you feeling better than ever.